Origin Solar Flex: Leasing Solar Power vs Buying. What's Best? Solar power for $0 upfront sounds tempting. But is it a good deal? Two methods of putting solar on your roof enter. 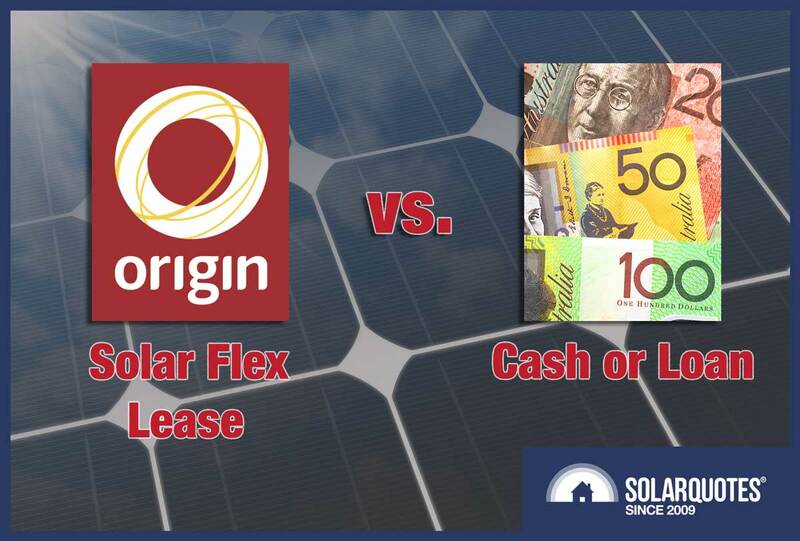 Today’s deathmatch is between Origin Energy’s Solar Flex leasing agreement and Private Ownership! Private Ownership is the undisputed champion in Australia and by far the most popular method of getting solar panels on roofs. Its opponent, Solar Leasing, is almost unknown. While doing well in the United States, here it’s mostly confined to a segment of the commercial solar market and an insignificant number of residences. So far it has lurked in the shadow of Private Ownership’s success, but today it will emerge from that darkness in the form of Origin Energy’s Solar Flex plan to do battle! It’s going to get grisly folks, because this fight is not going to end until a well supported conclusion is reached. Is it just me or is the combination of light machine gun plus blindfold a poor fashion choice? For several years it has been possible to get solar on your roof for free. At various times AGL, Origin Energy, and others have offered ‘no cost’ solar power. Sound good? A few of you may be thinking, “Free solar? Sign me up, baby!” but most people are completely unaware it exists. It is almost unknown – not because it is one of Australia’s best kept secrets – but because it has a number of unattractive features that make people flock to private ownership instead. If you read on it will become clear why Australians don’t give a flock for solar leasing. Origin Energy puts solar on the roof of your home or business for free. You have a contract period for 7, 10, or 15 years called a Power Purchase Agreement or PPA. During this period you pay Origin for every kilowatt-hour of electricity the solar system generates. The charge increases with the Consumer Price Index. 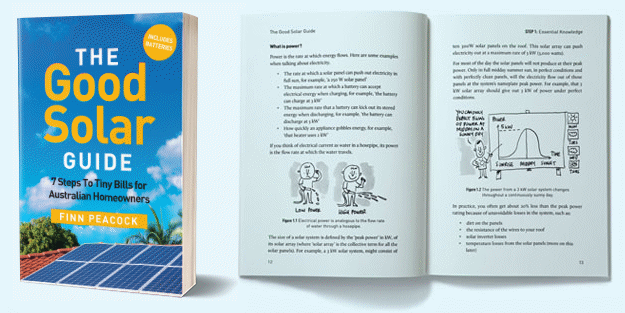 It doesn’t matter if you use the electricity yourself or if it is sent into the grid for a feed-in tariff. If you end the agreement early you have to pay to buy the system from Origin or pay more to have it removed. For the plan I have seen after 15 years it was $1,000 either way. If you do nothing they’ll just keep charging you for the electricity it produces. While the solar installation itself is free you may be required to pay for wiring upgrades, fixing a crap roof, and the cost of getting a new meter. Oh look! An asterisk! Everybody loves asterisks! If you get an Origin Solar Flex lease you’d want to be confident you aren’t going to sell your home during the contract period. If you do, paying the buy-out price may be your only option. It is possible to transfer the agreement to a new owner but they’d have to both be willing and meet Origin’s credit requirements. While there are a number of drawbacks to leasing solar it does let you get panels on your roof quickly with no money down. So if you are broke and unable to borrow it this is probably your only option[1 barring relatives who are both rich and generous]. But if you want to use Solar Flex you have to meet Origin’s credit requirements, so my guess is: if you can’t borrow money you can’t get Solar Flex. Also, you can only use Solar Flex for a roof you own. Most people who own homes or businesses are able to borrow money. One advantage of Solar Flex is that during the term of the contract Origin is responsible for any repairs and maintenance because they own the system. As they only get paid for electricity it produces they have an incentive to keep it working and repair it quickly if there’s a problem. 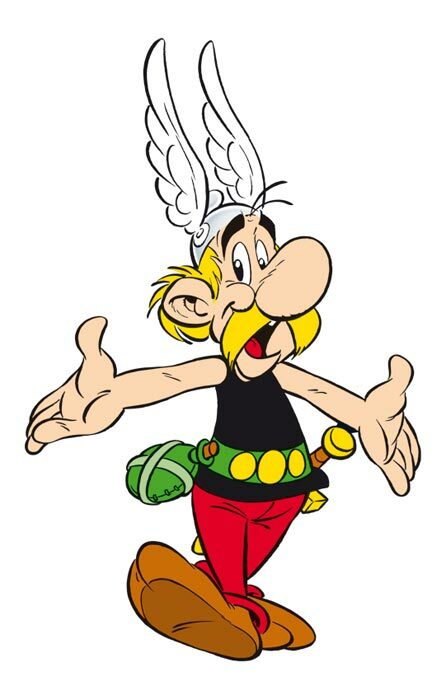 My cousin Gerda has sent me some information on Origin Flex Solar Plans. What she has done is give me an example plan that is supposed to be representative of what’s available for Queensland homes. It matches up with what I’ve seen from other sources so it looks right to me, but if you work for Origin and see something that’s not correct please let me know in the comments. Also, my cousin doesn’t actually work for Origin. Honest. So don’t go looking for her. Origin Energy probably doesn’t even have anyone called Gerda working for them, so that proves it1. I will describe the features of this example plan and compare it to the benefit of simply buying a similar sized solar power system instead. All I know about the location of the example system is it’s somewhere with a lot of sunshine and Ergon is the Distributed Network Service Provider. So let’s say Maryborough, just for convenience, as that isn’t where my cousin Gerda lives. But if Origin doesn’t actually provide Solar Flex in Maryborough, don’t blame me. No wait, do blame me. It’s totally my fault for picking a random location. A 10 kilowatt solar system with an estimated annual output of 16,300 kilowatt-hours. A 15 year contract period. A Power Purchase Agreement of 9.75 cents. This is how much the household pays for every kilowatt-hour the solar power system generates. Grid electricity price 28 cents. The electric hot water system is put on a timer so it switches on during the day. Average daily electricity consumption 33 kilowatt-hours. Estimated savings in first year $1,870. The output for the solar power system is high but definitely possible for north facing solar in Queensland — but not in Brisbane as it’s too cloudy. The grid electricity price is correct but the estimated feed-in tariff is 7% too high because in the Ergon service area the feed-in tariff is currently fixed at only 9.37 cents. The estimated savings in the first year of $1,870 only makes sense if they assume the household self consumes 62% of the 16,300 kilowatt-hours of annual solar generation. That’s a very high self consumption rate for such a large solar system, but the household currently uses around 33 kilowatt-hours a day, which is roughly two and a half times as much as the average household in regional Queensland. Also, if people are usually at home during the day that will increase self consumption, as will putting the hot water system on a timer so it will use electricity during the day. So while the self consumption figure is high I am going to assume Origin got their sums right and the figure is correct. Gerda says Origin will use a three phase Fronius inverter, which is a high quality brand, but she doesn’t say what solar panels will be used. Looking at Origin’s website I see they say their installations use CSUN and Trina panels, both of which have 10 year product warranties. CSUN is a low cost panel that should be reliable while Trina is also a low cost solar panel, but not as low as CSUN. While there is no exit fee after the end of the 15 year contract if you want the system removed, Origin will still charge you $1,000. It’s just no longer called an exit fee because there is no contract to exit from. Origin can also cancel the contract if they decide the system isn’t making them enough money. They don’t mention if they will want you to pay the exit fee in this case, but I suspect they may. If I were in that situation I wouldn’t be inclined to give it to them. I’d probably be inclined to inform them they could go co-locate their heads with the interior of a pig. Solar power systems have continued to fall in price and it is now possible to have a decent quality system installed for around $1,000 per kilowatt; so it should be possible to have a 10 kilowatt solar system of comparable quality installed for around $10,000. This is considerably less than the buy-out prices and exit fees early in the Solar Flex contract. A 10 kilowatt solar system with an annual output of 16,300 kilowatt-hours. Estimated average daily electricity consumption 33 kilowatt-hours. Then the household would save $3,450 a year on electricity bills. That’s $1,580 more than the estimated savings from the Solar Flex offer. One good thing about Origin’s Solar Flex offer is, because they own the system, they are responsible for repairs and maintenance for the 15 year contract period. With a Fronius inverter I think there is an excellent chance the system won’t break down in that time. Despite this I will allow $100 a year to cover the cost of any repairs that may be needed and two inspections — one after 5 years and another after 10 years. This means owning the system will save $3,350 a year. After the estimated cost of maintenance and repairs is allowed for, owning the system saves $1,480 a year more than Origin’s Solar Flex offer. The 80% higher savings is impressive, but is it enough to compensate for having to pay nothing, or very little, to get solar through leasing? The answer to that question is — hell yes. A loan calculator tells me if I borrow the full $10,000 cost of the system then even at 10.9% interest I will still be better off than with the Solar Flex example. My bank says they will give me a credit card that has 11.8% interest. If I could argue that down one percentage point it would be possible for to put the entire cost of the solar system on my credit card and come out ahead. Just looking at the results a loan calculator gives is a very basic approach. It would be possible to refine the figures and go into a lot more detail. For example, I haven’t even tried to account for the value of money over time, the fact that Solar Flex makes moving difficult, or that you still have to pay $1,000 to own it at the end of 15 years. But I don’t think it’s necessary. If you want to lease solar from Origin then you need to own a roof and people who own roofs can usually borrow money at considerably less than 10.9%. They can either raise money on their own, use home or business equity, or acquire finance at a lower rate. For this reason I have no problem saying that for most people it makes no sense to lease solar using Origin Solar Flex, even if it is necessary to borrow the full cost of a system. Just because it compares poorly to private ownership doesn’t mean solar leasing will never be of use to anyone. While it’s hard to think of situations where it make sense for homes, I can see it being useful for business where it can be difficult or impossible to have funding approved to buy a solar power system. There are probably many people working in businesses who would love to be able to put on their resume how they saved their company thousands of dollars a year in electricity costs and so will be motivated to arrange solar leasing. If leasing results in more solar power being installed than would otherwise be the case, it will help protect the environment and that’s a good thing. On the other hand, if people end up leasing solar when they would have been better off buying then that’s a bad thing. And the battle begins! The two combatants stride forwards and Origin Solar Flex uses its astounding Zero Dollars Down opening move! With Private Ownership requiring thousands of dollars just to get started I don’t know if it can recover from this! But wait! Ownership is still standing! It seems unfazed. Is it… is it turning green? Oh my god! Private Ownership is bludgeoning Solar Flex with massive annual savings! It’s brutal and it’s just not letting up! It’s going on year after year! Solar Flex’s Zero Maintenance And Repair Costs During The Contract Period is a nice move, but Ownership counters with its Reliable Solar System Block so it has next to no effect on its assault! They’ve gone the full 15 rounds and it’s not pretty! Solar Flex is a broken mess on the ground, pathetically blubbering about how a thousand dollars still has to be paid before it can be owned. But it definitely has been owned! It was clear from very early on who would be the champion. The winner, by bloody economic superiority, is Private Ownership! It’s all depressingly familiar… divert everyone’s attention toward in-depth technical debates on such things as ‘smart meters’, complicated charging plans etc etc, and thus lead everyone into completely missing the underlying truth that we don’t really need any of these complicated schemes and their associated devices at all in the first place. It all seems designed to ensure that – one way or another – we’ll end up eventually paying more than we ever did before. Nor do I really need some device that will tell me that turning on my oven or my air conditioner is going to consume more kilowatts than if I left it turned off. There’s a nice big label plate on the item that tells me that. And having successfully completed primary school I also know that the longer I leave it turned on, its going to consume even more. Seriously though, I can see the usefulness of a smart meter, but paying rent on it for the rest of my life? As well as paying for its installation cost? All so I can make supposedly informed choices about when and when not to use some devices because of an unnecessarily complicated pricing scheme. Its all pretty much at the margin really. The bulk of my usage power costs are hot water, refrigeration, cooking and lighting at night. Most people cant really change the timing of those to any great degree in the first place. And those of us who have solar systems have probably already made changes in our consumption patterns anyway. Human nature being what it is, those motivated to make changes have already made them, and the rest are unlikely to. ‘Solar energy dominated global investment in new power generation like never before in 2017. The world installed a record 98 gigawatts of new solar capacity, far more than the net additions of any other technology – renewable, fossil fuel or nuclear AND solar power attracted far more investment, at $160.8 billion, up 18 per cent, than ANY OTHER TECHNOLOGY’ (I’ve added the capitalizations – those aren’t in the article’). Or perhaps just to quote the article headline: ‘Banking on sunshine: World added far more solar than fossil fuel power generating capacity in 2017’. A new coal fired power plant would cost $3 billion dollars, drive up energy prices and take eight years to build. That figure doesn’t include any allowance for such things as long-term environmental impacts caused by the power station’s own operation and the impacts of large scale coal mining and transportation infra-structure. Due to the length of time before it becomes operational, unknown amounts (which are also in the billions) will need to be spent on refurbishing and renovating some of the existing 27 antiquated coal power stations that are still operating. Advocates of the new coal power station construction even suggest that the Federal Government should bear that subsidy cost. (That ultimately means every reader and myself end up paying – via taxation – to help the government pollute the environment even further of course, which I tend to feel very NEG-ative about doing). The numbers are a bit mind-boggling, but by the look of it, the total outlays required (say $3 billion for the new station and say $15 billion to keep the other 27 still operational) would seem to go pretty close to putting free solar on the roof of maybe a half to 2/3rds of every household and business location in Australia that doesn’t already have solar. At the moment, new solar installations in Australia have somewhat slumped. How much of that is due to ‘uncertainty’ and how much to the fact that 2017 was a ‘boom’ year as people sought to reduce their electricity costs and maximise their installation rebates is hard to assess. What it all seems to boil down to is – despite having a golden opportunity to become a world leader in ‘renewables’ generally and solar in particular, over a decade ago, Australia managed to mess it up completely. Sadly, the latest efforts by the Feds to fix up the mess – which seemed genuinely well-intentioned to begin with – seem likely to founder on the reefs of Luddism, augmented by a pitch-fork waving crowd both within and without their ranks hurling burning lumps of coal at their detractors, and holding LPG fuelled flame throwers at the ready. All very good points. “Power of Choice” is a disaster and I would be livid if I had to pay for the meter and then rent. Here in SA we had a chance to get a free meter before the role was handed over to retailers. No ongoing rent. I have been waiting 2 Months for a two way smart meter on a rental and by all accounts I’m not the only one and it could be Xmas before I get it. However, I am amazed at how many people have no idea where their power is being used and can see the benefits of smart meter data for those interested enough. I am a CPA by profession who now owns his own solar install company and am often asked about the pros and cons of a PPA Vs Outright Purchase, assuming you borrow the money. In simple terms, the savings from solar will at least match the monthly loan payments for 99% of 5yr+ loans i.e. it is cash flow positive even if you borrow the cost of the system, from day one. at the end of the loan period you save even more. With a PPA you are still paying for the power, albeit at a discounted rate i.e. it is cash flow negative until you pay out the PPA. There are a plethora of lenders out their for solar at a variety of rates. PPA’s don’t make financial sense in the vast majority of cases. I also have a CPA and completely disagree with your statement. If a system costs $0 to install, please explain how it is a negative cash flow? With a PPA agreement you lock in a low energy rate of approximately 10c/kWh in comparison to paying your energy provider 28c/kWh. Therefore any electricity consumed during the day will be saving the customer 18c/kWh. For example if an average household uses 15kWh a day (pool pump, electric h/w, dishwasher etc) their daily savings will be approximately $2.70. Any excess electricity generated by the solar system will be fed back into the grid for a feed in tariff. $2.70 x 300 Days = $810 in annual savings. Sounds like a positive cash flow to me.. The thing is, you don’t pay ~10c/kWh for what you USE. You pay ~10c/kWh for what you GENERATE. Very different and somewhat bizarre. I had to go to the Origin website and check that Ron hadn’t hit the liquor cabinet too hard, but it’s true. A 10kW system would be massively over-designed for most Australian residences so you would always generate way more than you use. There is no talk of selling the excess at all, which of course you can do if you own the system yourself. To be completely fair to Origin, it keeps using the term “your business” so I wonder if it’s possible that they don’t intend to target the residential market? While you will have to pay Origin for each kilowatt-hour the system generates you are free to do what you want with the electricity you have bought, including exporting it for a feed-in tariff. Origin certainly only seems to be marketing to businesses on their site, but I found they have been offering it to residences, so I decided to write about it. OK… but then isn’t the sales price for any exported energy devilishly close to the purchase price for the generated energy? There’s little to no upside for the system host as far as I can see. Even if you could sell the excess energy to a different retailer, the maximum price quoted on the SolarQuotes page for Qld is 12c/kWh – a pretty slim margin. As far as I can see, the only way for a customer to “make” money on the deal (really, save money against a reference case of buying from the grid at full price) is to be a big business and to have an undersized system installed, to ensure that you are always buying the generated power at a lower rate than conventional grid electricity. Installing an undersized system does – economically speaking – tend to maximise your financial return percentage and lower your payback period. Doing such has the effect of increasing your self-consumption ratio. The money ‘saved’ (because you didn’t purchase kwh from the grid ) thus gets reflected in your lower power bill. The same general principle applies to households and small businesses too. However, concentrating solely on maximising your financial return and ignoring all other factors is in my opinion a ‘mistake. For example, those who want to ultimately become as ‘self-sufficient’ as possible would probably find it more ‘desirable’ to purchase a larger ‘somewhat less than economically optimal’ system now, rather than try and do what will almost certainly be a complicated and expensive ‘add-on’ in a few years time. Sure, it might mean that your payback period goes from (say) 3 years to 3.5 or even 4.5 years, but you are nonetheless still getting a ‘rate of return’ on your larger investment that leaves just about any other investment for dead. As well, you’ve pretty much completely avoided the technical complications that would very likely arise in the future. Issues such as:.. trying to match a set of 250 watt panels with a set of 350 watt panels, finding the inverter model you installed is now superseded or is incapable of handling two sets of panels each with different output characteristics, or – because you optimised your first system you then find that the lower output panels occupy the prime location on your roof, and the new ones have to be put elsewhere. If your borrow the money from the bank to install the system then the cash flow affect is zero. If the savings from the power generated are greater than the loan repayments it is cash flow positive. Under a PPA Origin or whoever installs the system, therefore cash flow zero. However, you will pay out of your pocket at a reduced rate for the power you use that is produced by the system but you are paying. Therefore, cash flow negative. And at the end you will have to pay for the system although you could borrow the money and let the savings from the solar system meet the loan repayments. Maintenance costs for the first ten years should be covered by the mfr./installers warranty. After that you’re on your own. While it is true that the Granite Belt region has different weather patterns from (say) Victoria or Tasmania, the writing seems on the wall for large scale coal and gas projects compared to the rapidly increasing number of ‘renewable’ options and their mixes.